If you need any particular type of tow truck service, you can depend on Towing Santa Ana for the best quality all-around towing services! Larger vehicles won’t fit on a normal tow dolly, and we drive some mighty strong trucks. As a matter of fact, our heavy duty tow trucks, can support several tons of weight. That’s definitely a heavy duty load! Towing Santa Ana provides you with 24/7 emergency towing services in the event of a dead battery, transmission problems, engine problems or roadside collisions. 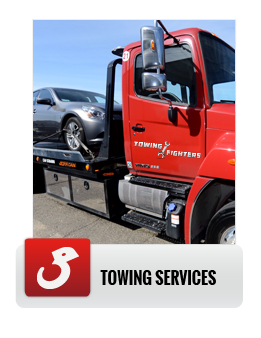 Our flatbed towing services are the best in the industry, and we use a secured method of vehicle transportation. Whether you’re planning a short distance trip or a long distance trip, you know your vehicle is in professional hands with Towing Santa Ana! Flatbed towing is the ideal way to transport any vehicle. Unlike a traditional tow dolly, all four wheels of your vehicle are raised above the ground. Tow dollies suspend the front tires only, leaving your back wheels to absorb the harsh surfaces of the road. A tiny pothole could cause tremendous amounts of damage to your tires and suspension. That’s why flatbed towing is the way to go! Your vehicle is slowly raised up a ramp before the safety straps are attached to fully secure the wheels in place. Once the car is idle on the flatbed, we will then head to your address of choice. We travel anywhere in Santa Ana and work 24/7. Just give us the address and we’ll gladly provide you with full pickup and delivery. 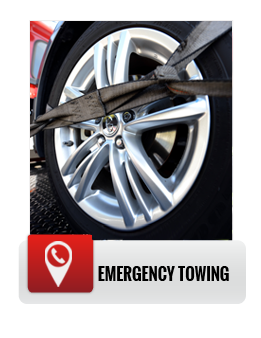 Towing Santa Ana offers a wide range of towing services, which includes; flatbed towing, long distance towing, emergency towing, local distance towing, luxury vehicle towing, heavy duty towing, and 24/7 roadside assistance. 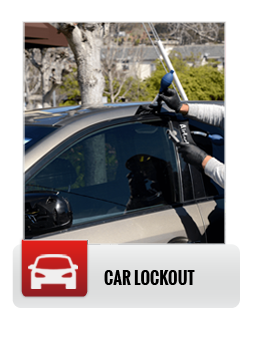 We are nationally accredited insurance vendors and we routinely work with all roadside insurance companies. From Travelers to Nationwide, we cover the full board of insurance companies A-Z! If you’re entitled to a discount per mile, we’ll be more than happy to work out the insurance details together. It’s nice to know that we are competitively priced as well. Call us today for a full towing timetable with same day pickup and delivery. Towing Santa Ana is Here to Save the Day! You’ll find Towing Santa Ana to be the friendliest and most honest towing company in town. When you need a towing done right and done on time, you know that you can always count on us. 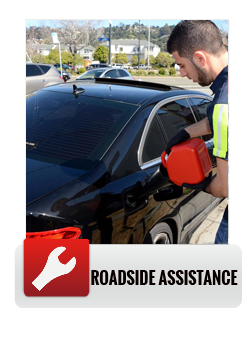 We have years of experience in the towing and roadside assistance industry. If you require an emergency towing after a minor fender bender or more serious collision, we’ll be at the scene in no time to get your vehicle off the road. Just let us know which method of towing you prefer, and we’ll arrange a convenient pickup date. It really is that simple! Call us today for a free estimation and timetable.